Adrift is a project that uses a visual language as a means of polar comparison. 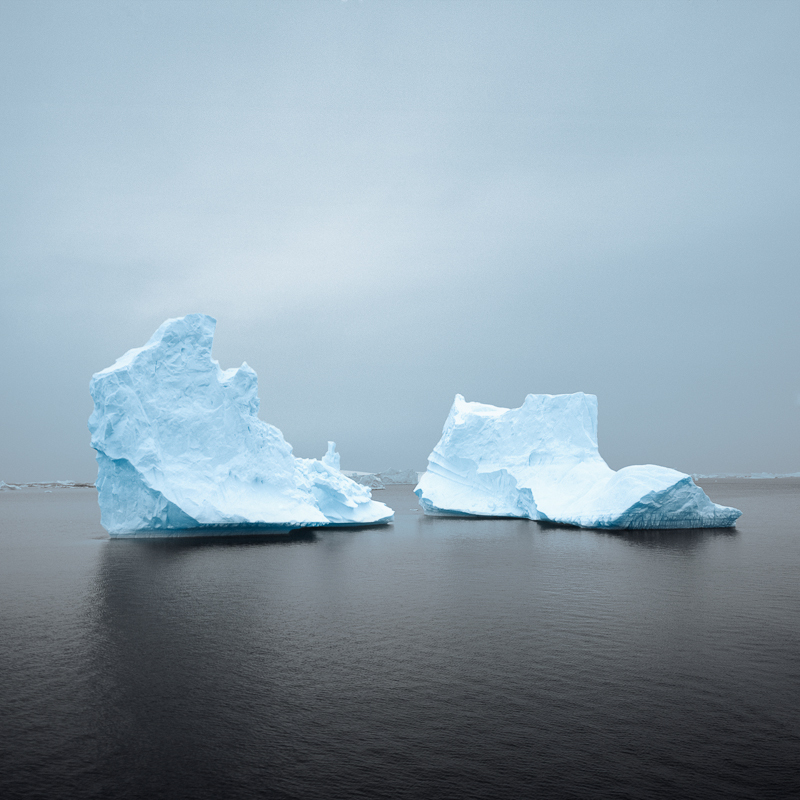 By pairing photographs of Antarctic icebergs and empty Iñupiat Eskimo hunting cabins, it offers a restrained commentary on the parallel effects of global climate change at opposite ends of the Earth. In 2013 I traveled from the Antarctic to the Arctic Circle, through seventeen countries in the Americas. 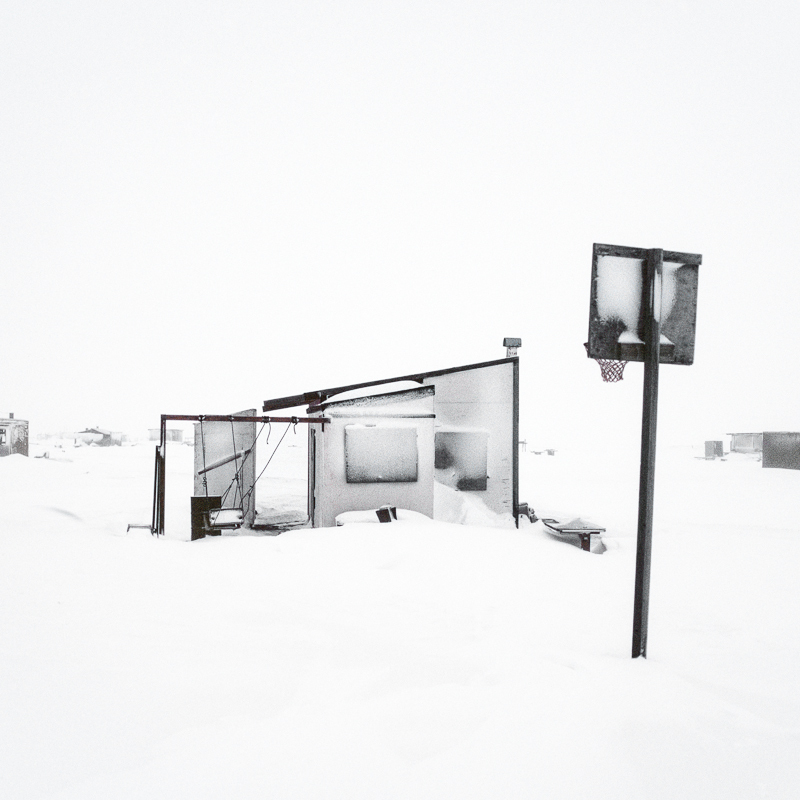 I documented dwellings, how human habitation responds to and reflects harsh landscapes, and the means with which societies adapt to changing climates, both cultural and physical. During the journey I was drawn to subjects which were both a departure from my work yet still felt like a familiar target: organic and inorganic structures succumbing to the effects of a warming planet. Average temperatures in the Arctic and Antarctic regions are rising twice as fast as they are elsewhere in the world. The rising temperatures are causing more icebergs to break off from glacial floes; polar ice is getting thinner, melting and rupturing. 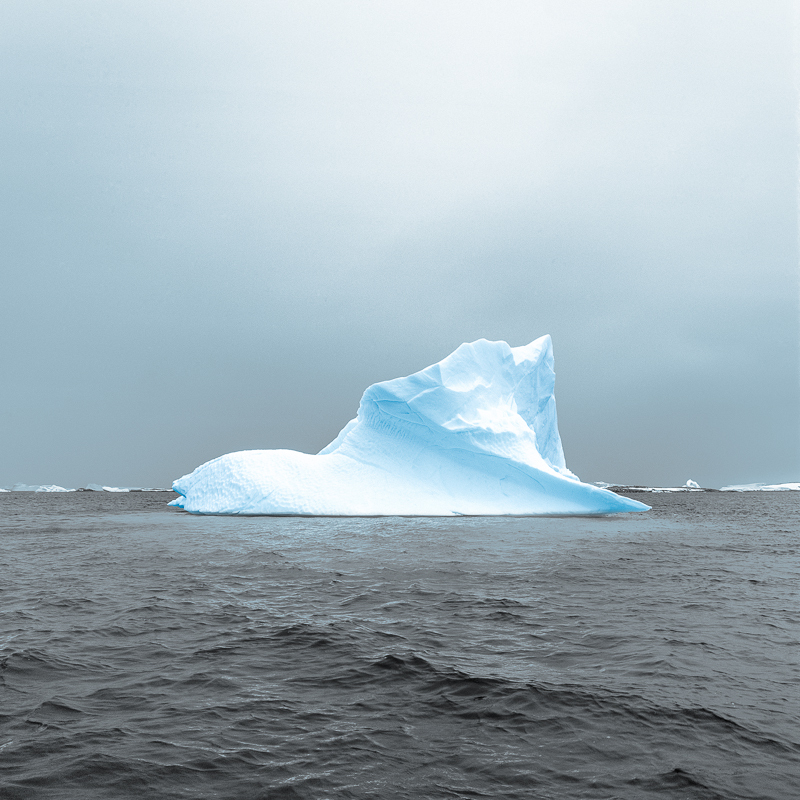 As they drift, the city-block-sized icebergs will disappear at a faster rate than ever before. Near the opposite pole in the Arctic, the melting of once-permanent ice is already affecting native flora, fauna and the frozen ground on which they live. Global warming is threatening the cultural identity of native people. Along a 35 km stretch of coastline in northernmost Alaska, on the ancient hunting grounds of Piqniq, the Iñupiat Eskimos have hunted for centuries, but as once massive herds of caribou dwindle and bowhead whales, walrus and seals change their feeding and migration patterns, subsistence hunting has become more difficult. Hunters move to larger towns, leaving cabins which once provided shelter adrift on the thinning ice and shifting tundra. 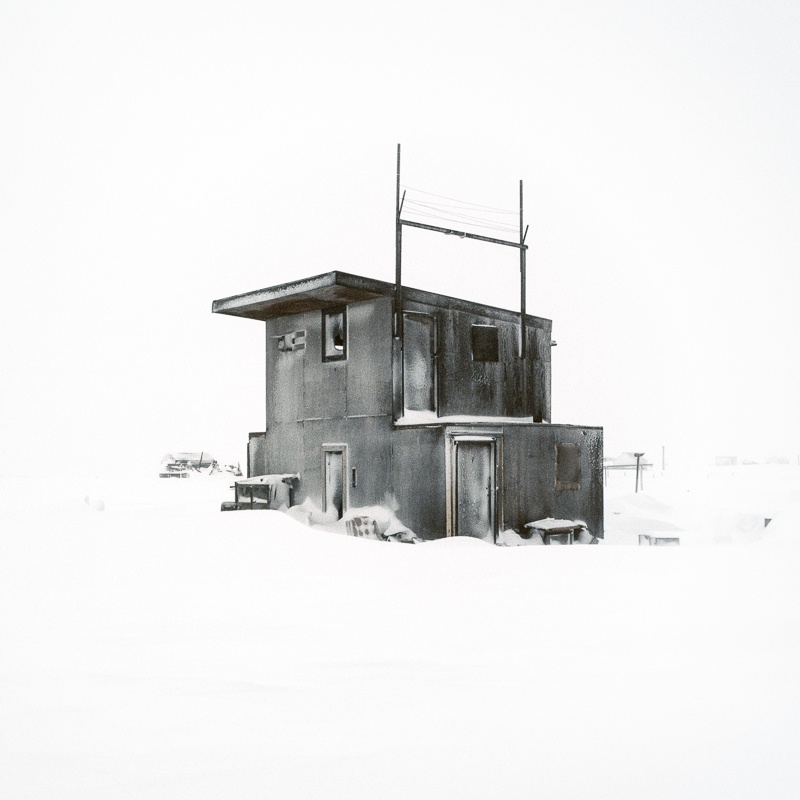 The hunting cabins of the Inupiat are mirrors of the lone ice mountains in the south, singular polar structures under pressure by a changing ecosystem. Silent and static witnesses to change.